I recently tried out some shaders from the current SVN version of RetroArch after I read a blog post about a new shader. One problem of emulation is that if you just take a 320x240px screen and make it big, it will look anything from kinda cool (e.g. Super Mario World) to absolutely rubish (e.g. Einhänder). So, how does this new "CRT Royale" shader look? Well... I'd say it looks pretty bad. There's the obvious black borders around all sub-pixels, but also the glow from white pixels looks really bad. Edit: Have a look at the next posts for some big improvements with the shader. The next shader I tried was "CRT Hyllian Glow", which looked quite nice after some tweaking. The thing that bugs me is that it looks like someone turned up the sharpness levels on a TV all the way up. In the end I think the simple "CRT Glow" looks the best. It has scanlines and glow and makes the image much more pleasant. Maybe it's a bit too soft though. 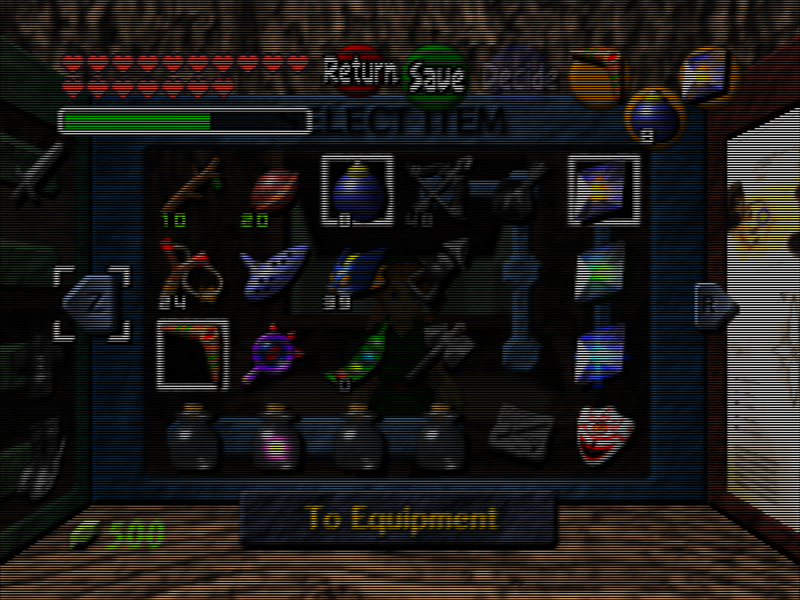 Are there any better shaders available for RetroArch? Last edited by blizzz on Sat Aug 16, 2014 3:49 pm, edited 1 time in total. I used the SVN version and I couldn't find out what I have to change to make it look any better. Can you upload the version you use or describe what exactly needs to be changed? Maybe yours just looks better because of the jpeg compression? Nah looks just like the picture posted, not sure whats going on then, after altering the settings did you apply shader settings again? EDIT: what CRT-Royale preset shader are you using, im using the CRT-Royale-Intel.cgp. On my i3-2100T (2.5GHz dual core with HT) + GTX 750Ti machine I have to set the hard gpu sync frames to 1 to get 60fps. On my normal gaming rig it works fine when left at 0. This shader seems to work fine with PSX games, but looks horrible on games like Super Mario World. I wish there was a CRT shader that made all games look as good as a real CRT. Anyone here would be able to port those to the .slv/.slf format used by Pete's OGL2 pluging for ePSXe please ? 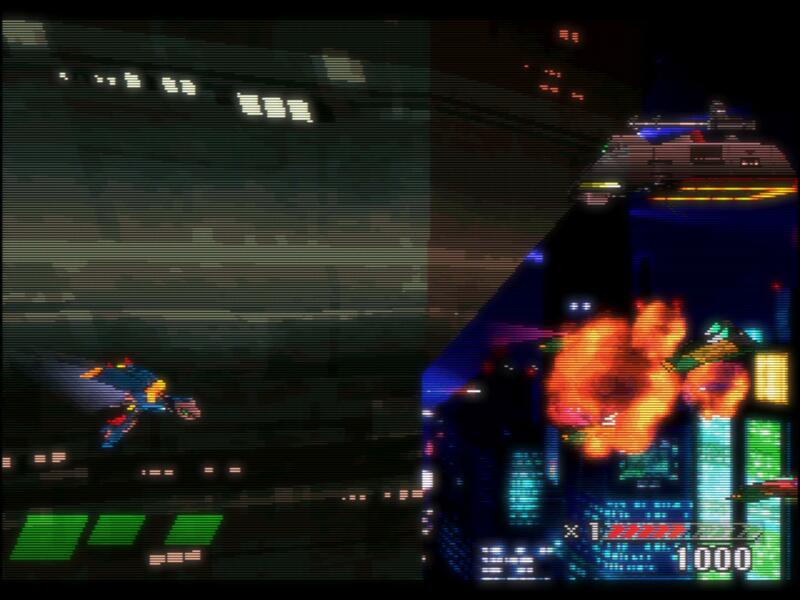 Actually there's one that has already been ported, I think it is cgwg's CRT shader, probably an old version. Links for downloading useable files are on second page. Still, this shader working or not is too heavy for my poor 512Mb video card. Even with frame-skipping. I've been trying to understand how a port could be done but I'm afraid this is beyond my skills. Of course this would be for use on low-end Xp machines, outside of RA. Best shader for 8-bit and 16-bit titles @ 1080p? I like the CRT shaders on PSP/PS1 titles but I don't like the way it looks at all with retro stuff. Still loving crt-geom above everything else. Great for most systems with a clean fullscreen upscaling. lcd-grid from lcd-cgwg for handeld. Yeah, CGWG all the way! They removed this beautiful sprite in sf2'. This RetroArch thing confuses me completely. I've looked into it, and I just don't understand it. This thing emulates PSX as well, and has low latency? I'd like to get into it, but it doesn't seem user friendly at all. PSX works great, although you'll need to track down right BIOS's (and verify the MD5 checksums match the recommended values in "Core info" after loading the PSX core). With the above shader, about how much input latency is there? That definitely looks like the scanlines are too dark. Been fiddling with RA for a couple of hours (1.0.0.3-beta x86-64 build) and By Satan this is one of the least functional and intuitive things I have ever used in my digital life ! Basically several things like shaders configuration, some video settings, gamepad configuration, paths... simply won't save or load. That thing is such a mess ! Couldn't find any well-documented FAQ/Wiki/Troubleshooting anywhere, if you know some good place to visit please advise ! ^^"
Here is a guide based on the Pi, but its mostly applying shaders as opposed to creating them. Thanks Floob but I'm using using the Windows version which is nowhere near like what's on your video, and what I want to do is simply customize crt-royale and have the changes actually apply and save (which doesn't seem to work at all at the moment). Other funny thing is I've tried setting in fullscreen tate 3:4 ... OMG it's impossible ! EDIT: I'm starting to think RA is as bad as QMC2 (the frontend you need to study a entire year before you can even think about playing a game). EDIT2: slowly getting used to it... is it normal that I still get slowdowns with gpu hard sync with 'sync frames: 0' on my i5 4690k (3.5-3.9GHz) + GTX 750 Ti rig ? EDIT3: somehow I managed to get this working. Too many issues though, dude told me that 1.0.0.3-beta I'm using might be too unstable. I'll try older builds. Those terrible framerate drops I've experienced are some kind of bug, a quick fullscreen>windowed>fullscreen fixes it though, but it's tedious. If a shader chain is saved you can also change/replace or remove parts of it as well in the menus. I see, but how do you remove a pass individually in the menu without going by the predetermined order ? For instance there are 12 passes by default on crt-royale, decreasing the number of passes to 11 gets rid of #12 (the round/shadow border geom effect), but if I want to remove for instance pass #5, I have to follow the decremetal order down to it, removing #11 #10 #9 etc in the process. which disables things that should stay. Maybe I don't have full control over the chain via that menu and a file edit like you recommend is the only proper way ? PS: also i'm not sure about which mask type I am using since there are only numbers, the readme tells about aperture grille, slot mak and shadow mak, but doesn't tell which is 0, 1 and 2 in the settings. If I remember correctly, that's written as a comment in the shader file. Personally I've given up on RetroArch. Well I couldn't find that comment but from the looks 0 is the aperture grille, which is much more obvious when mask_specify_num_triads is set to 0 (it's more sharp and clean like this). I'm still using the 1.0.0.3-beta build, apparently some settings names have been changed and the readme hasn't been updated yet so it's kind of confusing. You gave up because it's too buggy and messy or sumthin ? I was never really happy with the shaders. It might have looked nice for one game, but others would look horrible. The UI is also kinda annoying to navigate. All these settings just get in the way of the gameplay. I bought a new PSone which I use on my CRT now. Well yes the more I play with it the more I understand what you mean, it would require precise optimal settings for each emulated hardware/game, maybe even depending on the display's type and performance. Still, when it works well it's nice, more convincing than anything I could achieve with HLSL. So, today with a pal we wanted to try and understand more about RA and that crt-royale thing. Turned out we spend half of our time battling the disastrous interface, and the other half trying to modify the shader with no success. Via the menus or editing the many different configuration files: NOTHING changed, no visible alterations nor any values saved. Whatever you guys did on gamma, bloom, mask, etc...nothing worked. Older builds we got don't have royale, on beta only default settings work, and we grabbed a January build and it didn't even have a MAME core. So if any of you guys have any reliable explanation or guide you can link to (not just bits), or a build that's complete and featuring an actually editable crt-royale (also how it can really be edited and changes saved) please I beg you: HALP! That thing is Hell and totally under-documented/under-discussed on the interwebs. Lettuce, if you visit please.